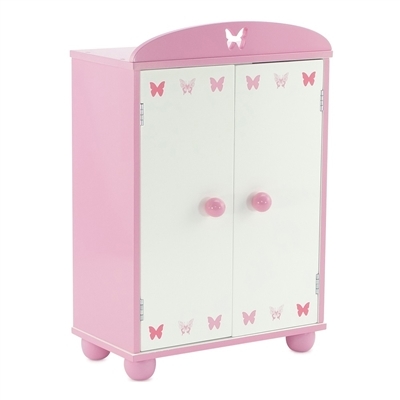 Store your 14-inch doll clothes in this beautiful pink and white armoire with lovely butterfly details. 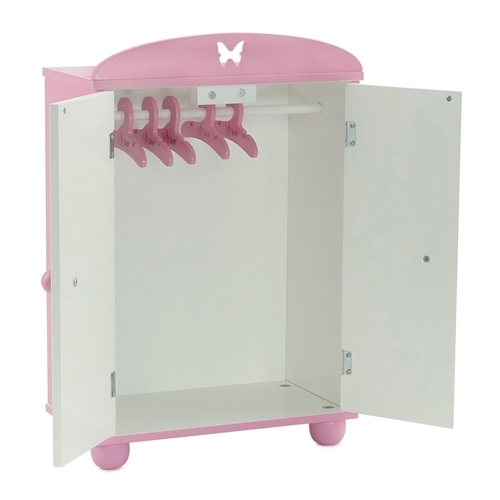 Tons of space for all of your 14" doll clothes and even includes 5 hangers to get you started! This wardrobe requires easy assembly, instructions included. Check out our Emily Rose matching single bed and table and chair set, also with "butterfly" motif, search product numbers INS6001 and INS6009. This doll furniture is made to fit 14" dolls like American Girl Wellie Wishers, Hearts for Hearts Girls, Glitter Girls etc. Gorgeous pink and white wardrobe for 14" dolls has butterfly details and loads of storage space! 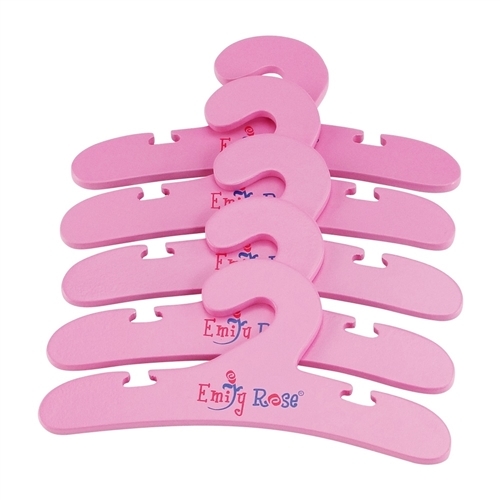 Doll armoire storage closet comes with 5 perfectly sized pink doll clothes hangers, with notches. Made to fit 14 Inch dolls such as American Girl Wellie Wishers Dolls, Hearts for Hearts Girls, Glitter Girls, etc.